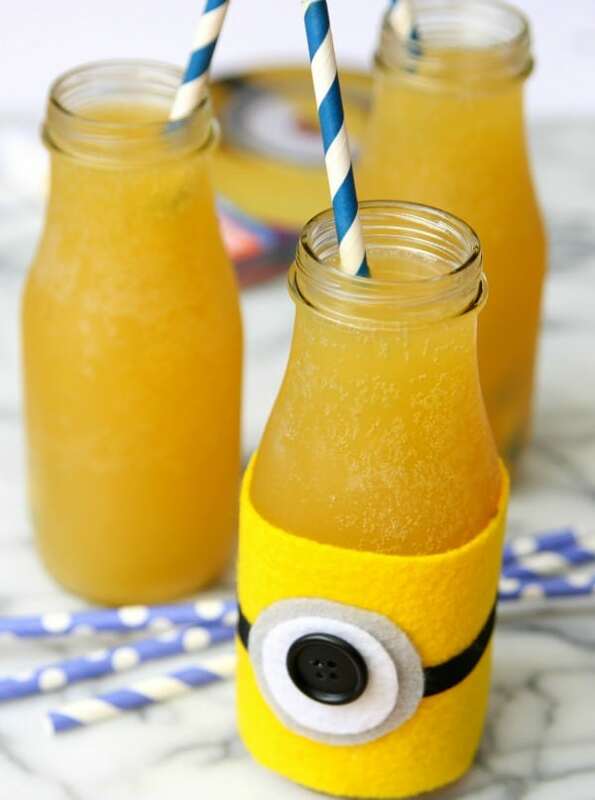 I’m calling this fun drink Minions Punch because we will be drinking it this Friday night when we have our family movie night. Can you guess what we will be watching? Yep – You guessed it! We will be watching Minions and I don’t know who is more excited – me or Connor. We’ve also invited all the neighbors over to join our movie night because everyone can’t wait to see it. 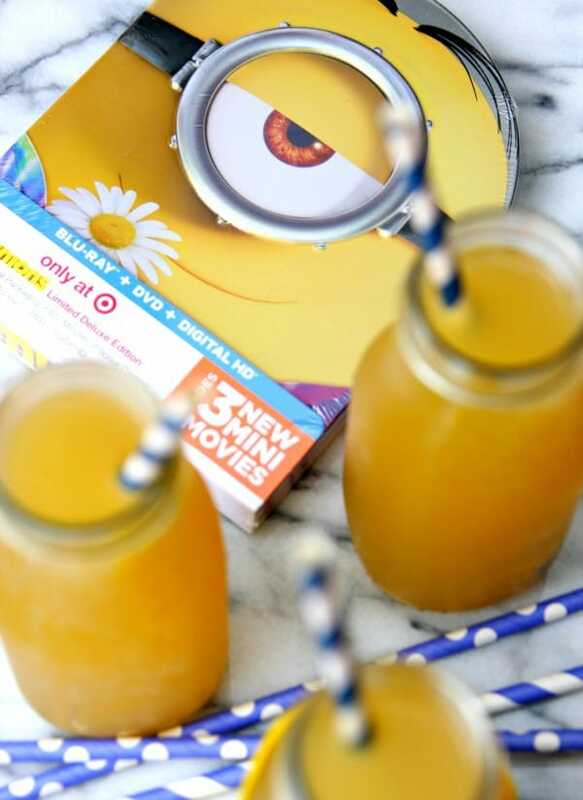 We love making fun treats to enjoy when it’s family movie night and this punch recipe is so easy and perfect to go along with llumination Entertainment’s Minions movie. 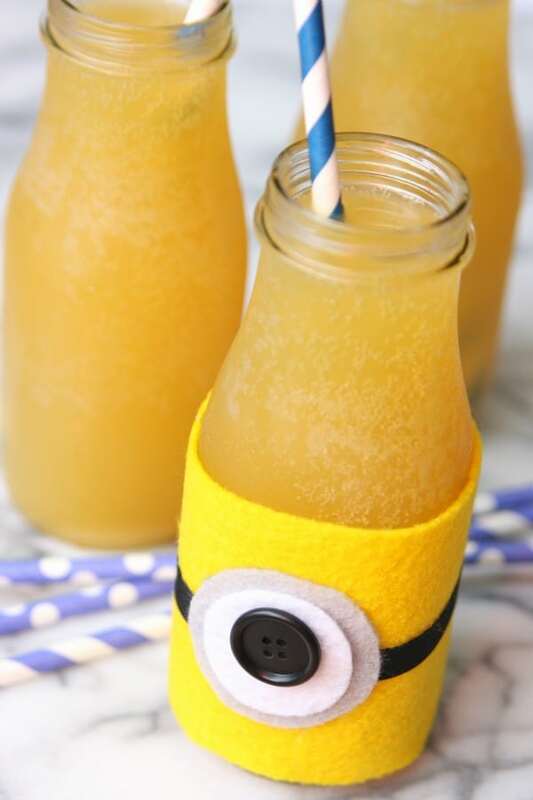 I wanted to make a yellow fruit punch since those cute little minions are yellow and what child doesn’t love a drink that mixes soda and fruit juice?! I don’t know any. Mix all ingredients together and serve immediately or keep refrigerated until you are ready to serve. 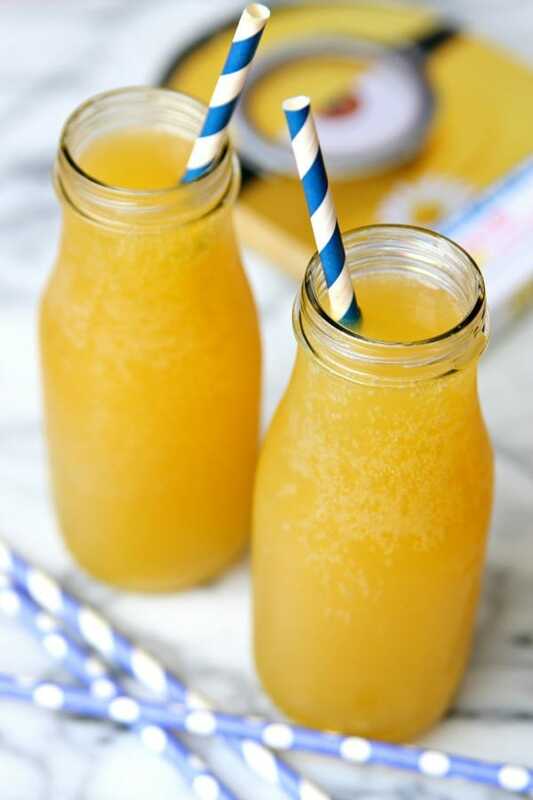 It’s like a mimosa but without the champagne. And because we like to be crafty around here, Connor and I made minion koozies to go along with our Minions Punch. Cut strips to go around the cups you will be using. (I used upcycled bottles that I saved.) Glue edges together so it is tight and won’t slip off. Use glue gun to glue black ribbon around yellow felt. Cut circles out of white and gray felt. Glue in place. Glue black button in place. 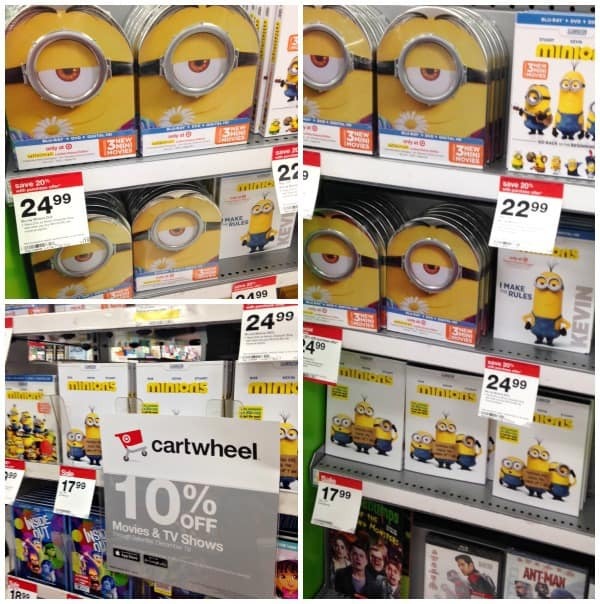 Pick up your Minions movie Blu-Ray/DVD MetalPak while shopping at Target. If you’re like me, you’ll be there a few times this week finishing up your holiday shopping. And since Target is the perfect one-stop-shop for all your movie night needs, you can pick up everything you need for a fun family movie night. 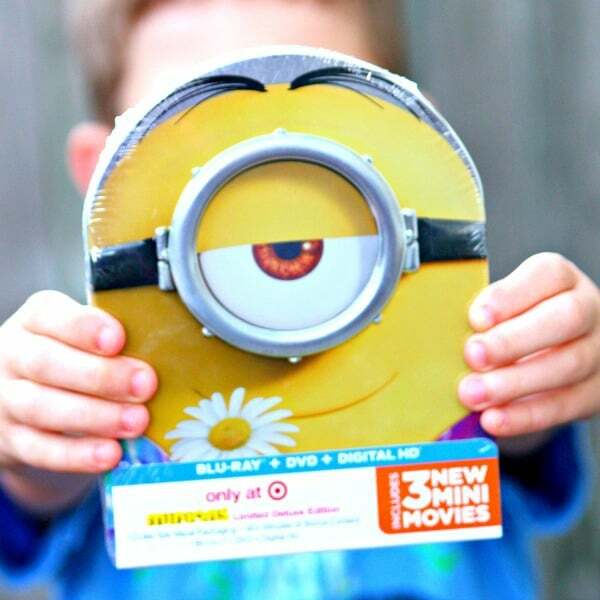 The Minions Blu-Ray/DVD Metalpak is a Target exclusive and includes 40 minutes of Target Exclusive content. 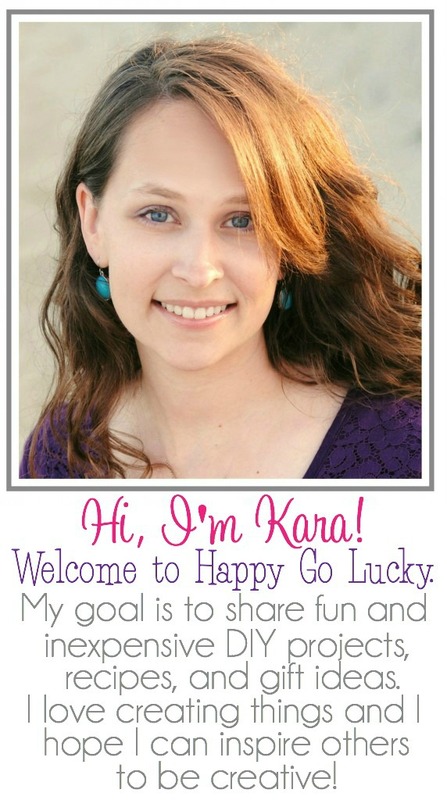 It would be the perfect stocking stuffer if you still need gift ideas! Now you are ready to sit back with your Minion Punch and enjoy Minions © 2015 Universal Studios. All rights reserved. Don’t forget the popcorn! Have you seen Minions yet? What is your favorite movie night recipe? Cute idea. Looks good too. My grandkids love Minions.